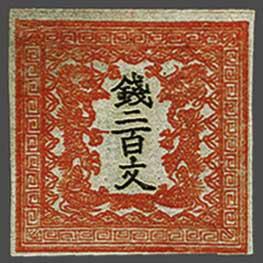 1871: 200 m. vermillion on native laid paper imperf., plate I, pos. 5, fair to large margins (top left crease and blot), unused without gum as issued. 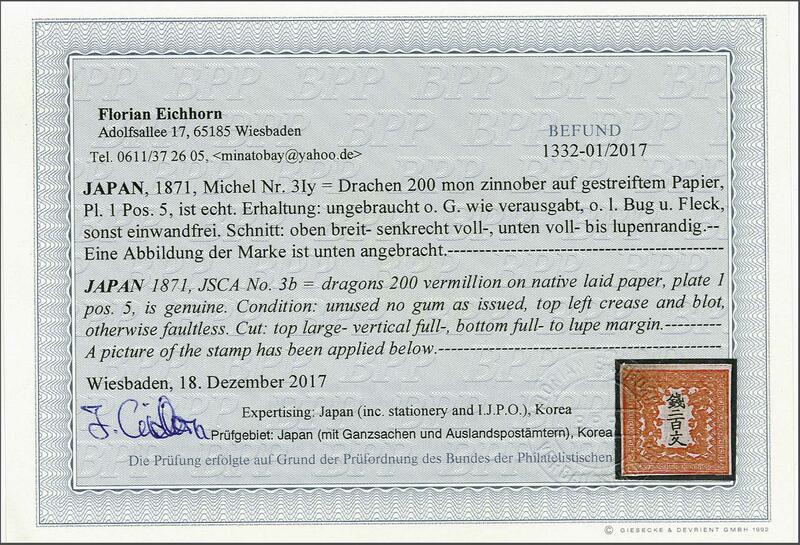 Opinion Eichhorn BPP (2017) Scott = $ 425/Gi 5 = £ 375.